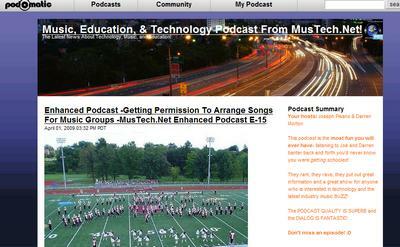 Mustech.net podcasts are some of the very best on the web about music, education, and the technology subjects you are interested in! Visit MUSicTECHnology.net today! and let us know about you by talking with us or leaving a comment! Mustech.net offers articles about music, education, technology and more! Find our Podcasts on iTunes by Clicking Here! Play this episode directly on MusTech.Net -Scroll to the bottom and press PLAY! Another stunning and entertaining episode from MusTech.Net that find Darren and Joe somehow talking about Darren pandering for money by playing his guitar outside the broadcast studio! Somewhere in the middle Darren ends up comparing Apples to PCs and suggests that “little black helicopters” are involved in a Google/Bing Conspiracy! Throughout the mix is a whole bunch of great information that makes this episode one of the best! 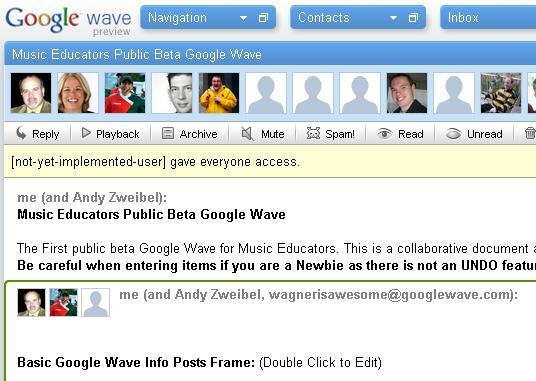 This episode focuses on Google Wave, characteristics of teachers that might indicate that they should be looking for another career, and microphone techniques used on-air for broadcasting live ensembles.